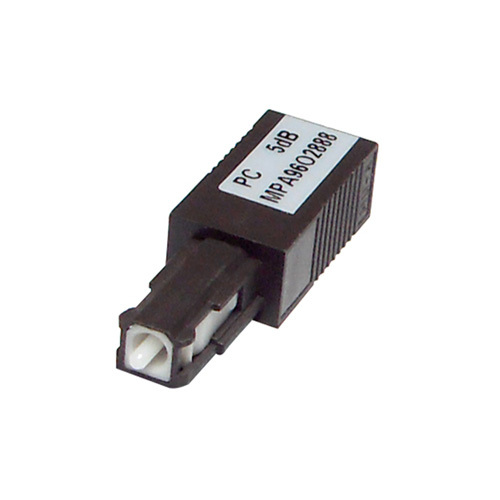 MU fiber optic attenuators are single mode type, with UPC attenuators and APC attenuators available. They function in the 1250 to 1625 range, with attenuation level from 1dB to 30dB optional. MU fiber attenuator is a passive device used to reduce the amplitude of a light signal without significantly changing the wave form itself. They are capable of performing in the 1310, C and L Bands. MU attenuators are reliable performance and suit for applications including DWDM and EDFA. Our MU attenuators are manufactured and tested according to the industrial standards and they are 100% compatible to use with equipment and components from other suppliers.